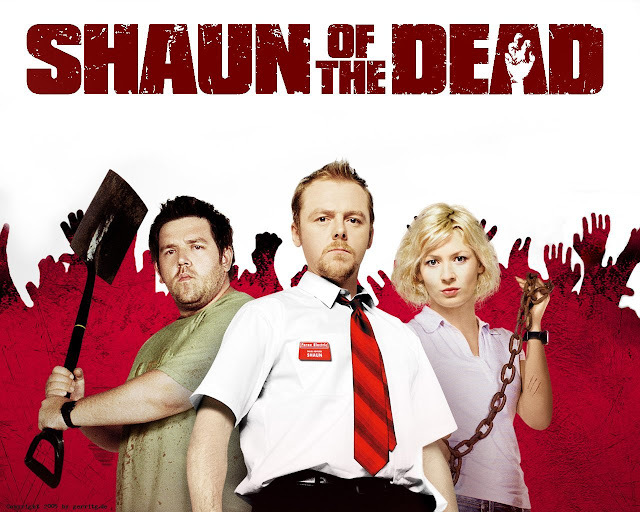 Shaun of the Dead was essentially an instant horror comedy classic. It’s one of those movies that was basically tailor made to my sensibilities as a fan of zombies, horror, and comedy. I’m not sure I’d change anything about. It’s got a perfect mix of dry “British” humor and American style slapstick, and it maintains a perfect balance throughout. It is smart when it needs to be and dumb when it needs to be. It is simply a thing of beauty. Shaun (Simon Pegg) and Ed (Nick Frost) are roommates and long-time friends that find themselves in the middle of a developing zombie apocalypse. They devise a plan to go grab Shaun’s mom and recent ex-girlfriend and make their way to The Winchester, their favorite pub. They’ll fortify themselves inside while the whole thing blows over and enjoy nice cold pints and pig snacks. Plus, there’s a rifle mounted over the bar! If you haven’t seen this, what rock have you been living under? Seriously, what is wrong with you?